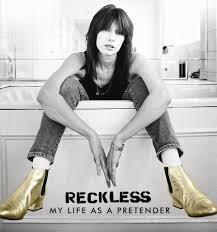 Rock legends The Pretenders are scheduled to perform in Tel Aviv on September 23rd. They are also due to play in Brighton on the 10th of October. Chrissie Hynde and her band are being urged by people of conscience all over the world to to cancel their Tel Aviv gig, and by doing so to support the Palestinian call for a cultural boycott of Israel. Israel overtly uses culture as a form of propaganda to whitewash or justify its regime of occupation, settler-colonialism and apartheid over the Palestinian people. You can find out more about the worldwide cultural boycott here and here. The Pretenders are also due to perform in Brighton on Tuesday October 10th. We urge all local supporters of the Palestinian struggle for justice to ignore the Pretenders when they come to Brighton unless and until they heed the call from civil society in Palestine and cancel their Tel Aviv gig. Don’t buy tickets for The Pretenders’ October 10th gig in Brighton, and tell your friends to do the same. And make your feelings known about The Pretenders’ support for israeli apartheid by tweeting @ThePretendersHQ and via Facebook at facebook.com/pretenders.